Hair transplants aren’t just a misunderstood procedure; they’re also consistently mischaracterised as cost-prohibitive expenses, available only to the financial elite. A hair transplant definitely isn’t cheap but it is definitely worth it. Here, we’ll uncover the different factors which can affect hair transplant pricing, as well as highlight the intangible, priceless value that comes from the confidence instilled by a successful hair transplant. The costs of a hair transplant can differ dramatically from person-to-person. 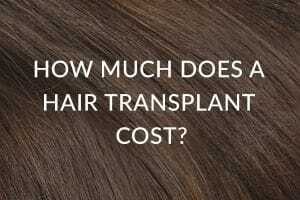 One of the reasons it’s difficult to accurately estimate the price of a hair transplant is the variety of different factors that can affect cost. These variables will differ for very person who elects to undertake a hair transplant procedure. Is A Hair Transplant Worth It? This answer will be different for everyone. At Advanced Hair Studio, we’ve helped over 500 000 people get their hair back. We’ve seen the reactions to their transformations, and it’s remarkable. Every day, we justify spending large sums on perceived luxury goods such as watches, cars and appliances without batting an eyelid. When it comes time to justify expenses on our bodies and our confidence though, we refuse to think in those same terms. We take our hair everywhere we go; and if we look after it, we’ll have it for our entire lives. That’s a priceless luxury. Book one of our Complimentary Advanced Hair Checks today, and we’ll figure out just how much your hair transplant will cost you. We’ve helped 500,000 people around the world to avoid thinning and balding hair. You can regrow your own hair, and we know how.